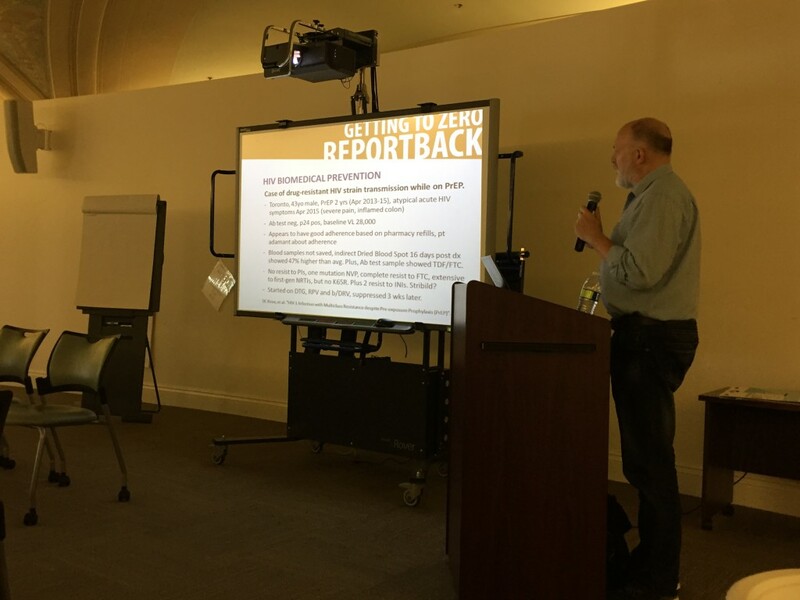 Project Inform’s Alan McCord presents a CROI report-back. The Getting to Zero SF Consortium gathered March 24 for its quarterly meeting of members. In addition to updates from each of the four GTZ committees, we enjoyed a thorough CROI (Conference on Retroviruses and Opportunistic Infections) report-back from Project Inform’s Alan McCord and a dynamic panel discussion on Youth and PrEP with guests Sylvia Castillo, Adam Leonard, and Kristen Kennedy.